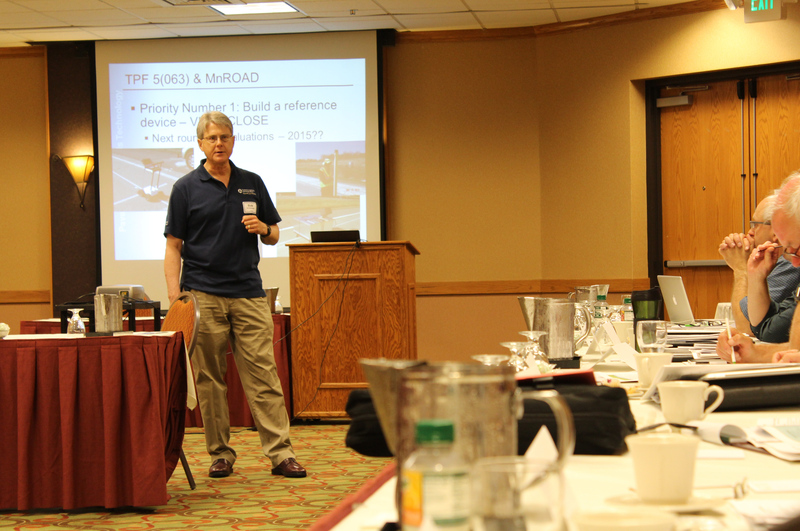 MnROAD is hosting pavement researchers from around North America this week to discuss research conducted at its cold weather pavement testing facility in Albertville, Minnesota. Participants at the three-day conference (June 10 to 12) are reviewing the findings of recent pooled fund studies, sharing their implementation experience and recommending what projects should be picked for the next round of research. Bob Orthmeyer from the Federal Highway Administration said MnROAD is the only facility in the country that could supply several test sections needed for a recent study. 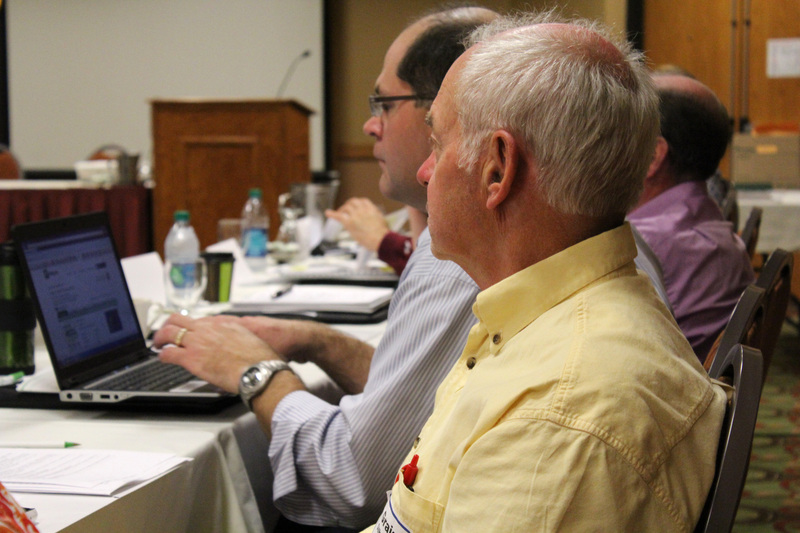 Graig Gilbertson from MnDOT District 8 listens to one of seven presentations Tuesday on how agencies have implemented MnROAD’s second phase of research projects. 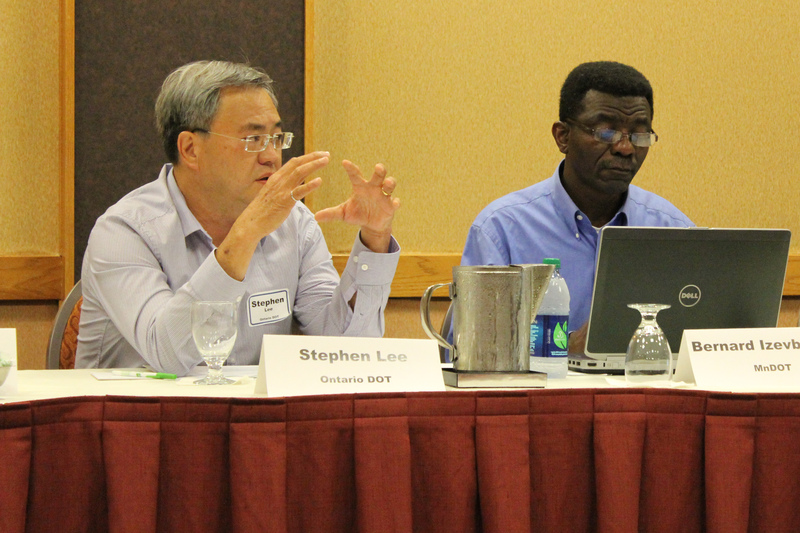 Stephen Lee shares the Ontario Ministry of Transportation’s experiences during a discussion Tuesday on research implementation. 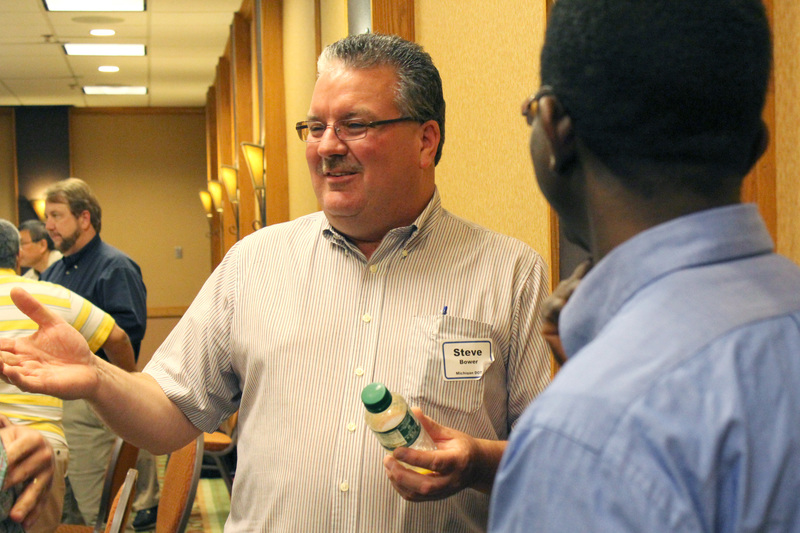 Steve Bower, a Michigan Department of Transportation Research Engineer, visits with MnROAD researcher Bernard Izevbakhai, right, and other peers. Construction engineering professor Joe Mahoney, from the University of Washington, leads a group discussion on improving research efforts at the close of the session Tuesday. 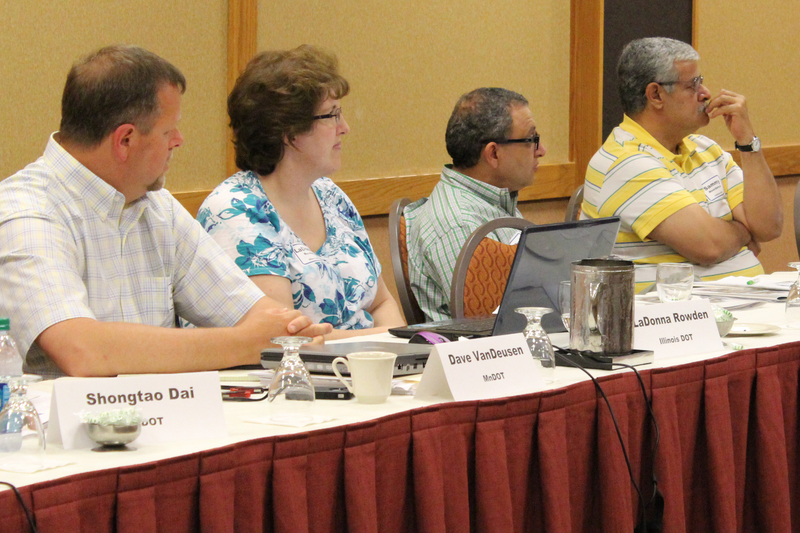 From left, Dave VanDeusen from MnDOT, LaDonna Rowden from the Illinois Department of Transportation, Magdi Mikhail from the Texas Department of Transportation and Samy Noureldin from the Indiana Department of Transportation. 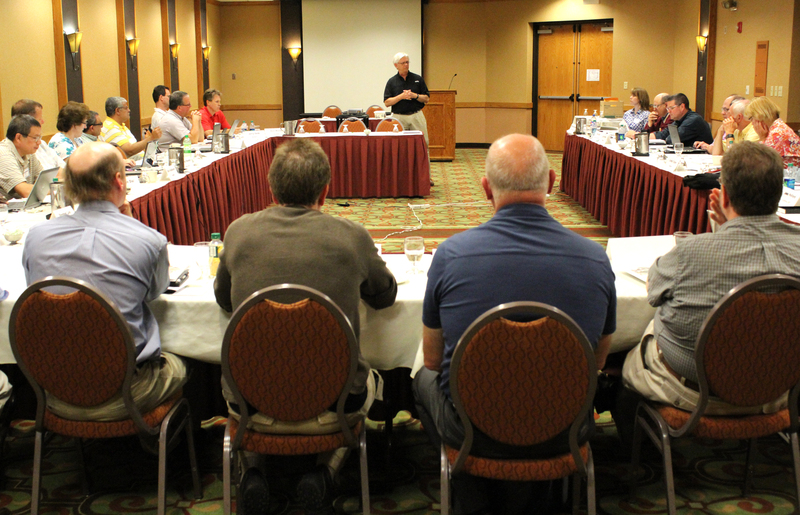 Researchers came from Missouri, Maine, Texas, Illinois, Michigan, California, Ontario, Wisconsin, Indiana and Washington for the three-day workshop.